If you haven't been drawn by David Downton, have you really made it? Artist David Downton has made a name for himself by drawing fashion's most famous, including everyone from Elizabeth Taylor to David Bowie to Iman. 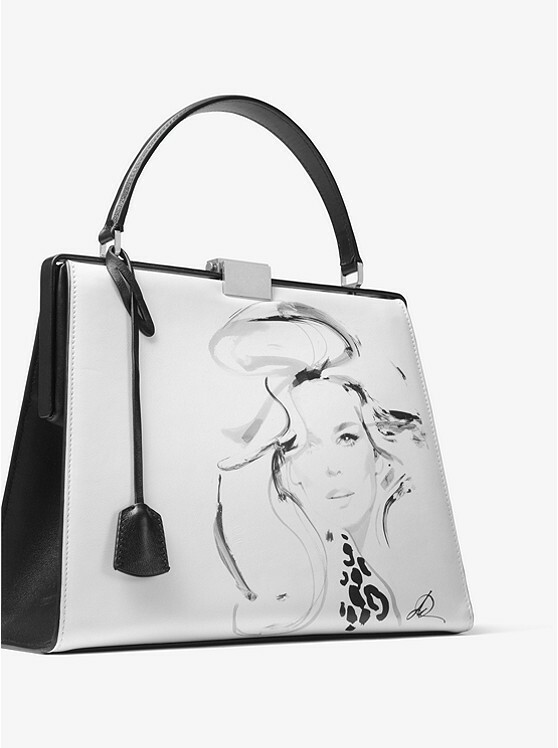 So it's fitting that the iconic illustrator was recently tapped to create four brand new portraits for a line of Michael Kors calf leather top-handle bags. Each unique bag features a diverse group of fashionable women: Are you Sabine, the lux gamine? Lola, the modern goddess? Maybe you're Claudia, the glamorous icon? Or, perhaps, Brooke, the chic sophisticate? Whatever your style, Kors' latest collaboration has something for every powerful woman.